Mouse over the header field and click Edit Header when the button appears. Then click Add Text or Add Image. 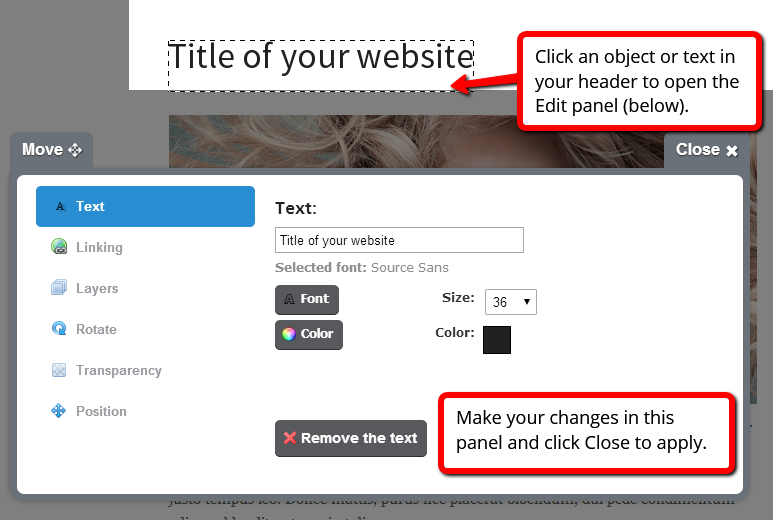 When clicking Add Text, you will be prompted to this dialog box. Choose to add Regular or Special text. By activating Free floating in the Edit panel, a header object is allowed to be moved freely inside and outside the borders of the header. 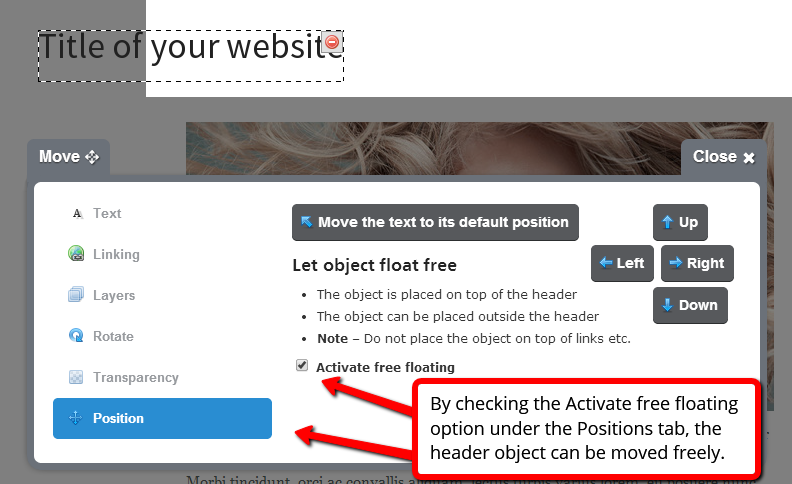 Please note: if you place a header object above or near a link or menu button, these elements may stop working.